The consumer who walks through your door this year is much less likely to go bankrupt than five years ago. This is due to a variety of factors including the improving economy, new bankruptcy laws and greatly decreasing use of credit cards by consumers. The trend is expected to continue through 2016. What does this mean to you? To start with, you should expect fewer bad debts. Fewer Bankruptcies are a good indication that consumer financial health is better. This should directly relate to your bottom line. It will also mean fewer headaches. Since you can expect a lower ratio of bad debt, you will also have less to send out for debt collection which means less faxing, calling and email communications and less court appearances. If you rent, you should experience less disasters when a tenant moves out leaving unpaid rent and a gigantic cleanup. If you are a medical facility, you should get paid more often, even when the insurer will not cover a bill. If you use the same credit criteria you have used for the past five years you should do noticeably better. Of course, these could be changed to take a bit more risk in today’s more stable environment. The one credit factor that has significantly increased is student loans which have grown substantially and are not usually eligible for bankruptcy protection. You need to carefully consider the effect that these loan payments have on the consumer’s financial stability. Even with a high credit rating, high student loan payments could put you at risk. 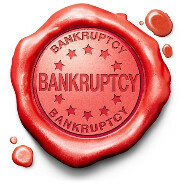 Since they cannot be discharged with a bankruptcy, the burden must be shared by all other creditors. Make sure the consumer has the income to support the student loan and everything else necessary to obtain credit from your company. Some other side effects of lower bankruptcy rates will affect the returns you get from your debt collection service. Fewer judgments will be whipped out by bankruptcy and many consumers will pay the bills rather than put up with the credit damage they cause. All in all, this is good for everybody. Consumer’s credit ratings are rising and your business will have less bad debt.